This study examines the development of technology, pedagogy, and content knowledge (TPACK) in four in-service secondary science teachers as they participated in a professional development program focusing on technology integration into K-12 classrooms to support science as inquiry teaching. In the program, probeware, mind-mapping tools (CMaps), and Internet applications ? computer simulations, digital images, and movies — were introduced to the science teachers. A descriptive multicase study design was employed to track teachers’ development over the yearlong program. Data included interviews, surveys, classroom observations, teachers’ technology integration plans, and action research study reports. The program was found to have positive impacts to varying degrees on teachers’ development of TPACK. Contextual factors and teachers’ pedagogical reasoning affected teachers’ ability to enact in their classrooms what they learned in the program. Suggestions for designing effective professional development programs to improve science teachers’ TPACK are discussed. Guzey, S.S. & Roehrig, G.H. (2009). Teaching Science with Technology: Case Studies of Science Teachers' Development of Technological Pedagogical Content Knowledge (TPCK). 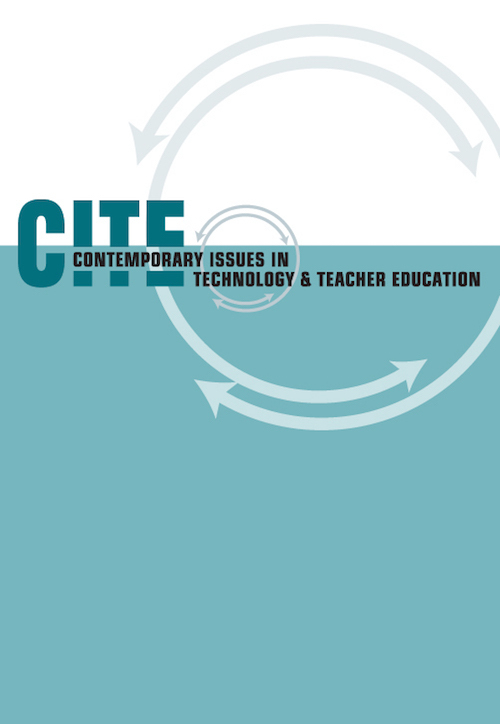 Contemporary Issues in Technology and Teacher Education, 9 (1), 25-45. Waynesville, NC USA: Society for Information Technology & Teacher Education. Retrieved April 23, 2019 from https://www.learntechlib.org/primary/p/29293/. Cochran, K.F., DeRuiter, J.A., & King, R.A. (1993). Pedagogical content knowing: An integrative model for teacher preparation. Journal of Teacher Education, 44(4), 263-272. Cochran-Smith, M., & Lytle, S.L. (1993). Inside outside: Teacher research and knowledge. New York: Teacher College Press. Cochran-Smith, M., & Lytle, S.L. (1999). Relationships of knowledge and practice: Teacher learning in communities. Review of Research in Education, 24, 249-305. Crawford, B.A. (1999). Is it realistic to expect a preservice teacher to create an inquiry based classroom? Journal of Science Teacher Education, 10, 175-194. Crawford, B.A. (2000). Embracing the essence of inquiry: New roles for science teachers. Journal of Research in Science Teaching, 37(9), 916-937. Doering, A., Hughes, J., & Huffman, D. (2003). Preservice teachers: Are we thinking about technology? Journal of Research on Technology in Education, 35, 342-361. Fernandez-Balvoa, J. & Stiehl, J. (1995). The generic nature of pedagogical content knowledge among college professors. Teaching& Teacher Education, 11(3), 293-306. Grossman, P., Wineburg, S., & Woolworth, S. (2001). Toward a theory of teacher community. The Teachers College Record, 103(6), 942-1012. Huffman, D. (2006). Reforming pedagogy: In-service teacher education and instruction reform. Journal of Science Teacher Education, 17, 121-136. Hughes, J., Kerr, S., & Ooms, A. (2005). Content-focused technology inquiry groups: Cases of teacher learning and technology integration. Journal of Educational Computing Research, 32, 367-379. Koehler, M., & Mishra, P. (2008). Introducing TPCK. In AACTE Committee on Innovation and Technology (Ed. ), Handbook of technological pedagogical content knowledge (TPCK) for educators, (pp. 3-31). New York: Routledge. Krajcik, J., Blumenfield, P., Marx, R., & Soloway, E. (1994). A collaborative model for helping middle grade teachers learn project-based instruction. The Elementary Science Journal, 94(5), 483-498. Lee, E., Brown, M., Luft, J., & Roehrig, G. (2007). Assessing beginning secondary science teachers’ PCK: Pilot year results. School Science and Mathematics, 107(2), 52-60. Little, J.W. (1990). The persistence of privacy: Autonomy and initiative in teachers’ professional relations. Teachers College Record, 91(4), 509-536. Loucks-Horsley, S., Love, N., Stiles, K.E., Mundry, S., & Hewson, P.W. (2003). Designing professional development for teachers of science and mathematics (2nd ed.). Thousand Oaks, CA: Corwin Press. Magnusson, S., Borko, H., & Krajcik, J. (1994). Teaching complex subject matter in science: Insights from an analysis of pedagogical content knowledge. Paper presented at the annual meeting of the National Association for Research in Science Teaching, Anaheim, CA. Marks, R. (1990). Pedagogical content knowledge: From a mathematical case to a modified conception. Journal of Teacher Education, 41(3), 3-11. Office of Technology Assessment.(1995). Teachers and technology: Making the connection. Washington, DC: U.S. Government Printing Office. Roehrig, G., & Luft, J.A. (2004). Constraints experienced by beginning secondary science teachers in implementing scientific inquiry lessons. International Journal of Science Education, 23, 3-24. Roehrig, G., & Luft, J.A. (2006). Does one size fit all? : The induction experience of beginning science teachers from different teacher preparation programs. Journal of Research in Science Teaching, 43(9), 963-985. Roehrig, G., Luft, J., & Edwards, M. (2001). Versatile VeeMaps. The Science Teacher, 68(1), 28-31. Shulman, L.S. (1986). Those who understand: Knowledge growth in teaching. Educational Researcher, 15(5), 4-14. Shulman, L.S. (1987). Knowledge and teaching: Foundations of the new reform. Harvard Educational Reviews, 57, 1-22. Tamir, P. (1988). Subject matter and related pedagogical content knowledge in teacher education. Teaching and Teacher Education, 4(2), 99-110. Trowbridge, L.W., Bybee, R.W., & Powell, J.C. (2008). Teaching secondary school science: Strategies for developing scientific literacy (9th ed.). Upper Saddle River, NJ: Prentice Hall. Yin, R.K. (1994). Case study research: Design and methods (2nd ed.). Thousand Oaks: Sage. Zeichner, K. (2003). Teacher research as professional development for P-12 educators in the USA. Educational Action Research, 11(2), 301-325.